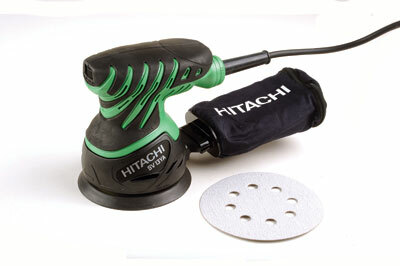 The Hitachi SV 13YA random orbital sander is rated at 230w and as such should be suitable for hobby, light trade and professional use. It uses hook and loop sanding pads and when used as a finishing tool with the abrasive grits available from 60 to 240 it will produce a final finish on both hard and soft woods. I used the sander on two woods, burr elm (Ulmus procera) and English oak (Quercus robur) in order to provide an opportunity to see how it performed on woods with different characteristics. I had previously prepared the boards by planing and belt sanding them to a 100grit finish. 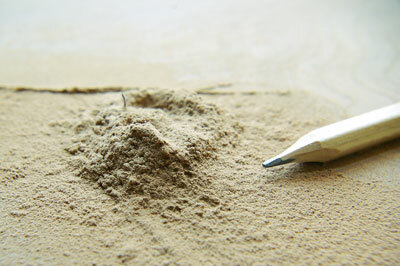 Both contained sanding scratch marks as the outset of the test. I placed the boards on the bench on non-slip rubber matting to prevent movement and then started sanding through the grits. I initially found the sanding discs a little fiddly to align with the matching holes in the sanding pad, but after a little practice in a good light the job seemed to become quicker. I found that gently folding the disc and aligning an initial two holes made the task easier. The dust bag was a push to fit onto the dust gate and once the motor was switched on it inflated immediately with the draft from the fan. Initially using 60grit and working through 80, 120, 180 to 240grits, both woods were sanded. The instructions suggest two different sanding patterns. I tried both suggestions and couldnâ€™t see a difference in the finish. Although the burr elm had several patches of twisted grain the finish was good. I found the motor more than powerful enough for the work, it didnâ€™t slow under the weight of my hand. The palm grip was a suitable size and still comfy after a prolonged period of use. The motor didnâ€™t appear to become hot in use. The controls were well placed with the on/off switch at the top front and the six-speed control at the back of the handle. Although the speed control was out of the reach of my fingers whilst the sander was in use I didnâ€™t feel this was an issue as the speed wouldnâ€™t be changed whilst the unit was in use. I tried the sander at several different speed settings and couldnâ€™t see any visible difference in the finish being obtained. The wood would obviously stay cooler on a lower speed, as the friction would increase along with the speed. 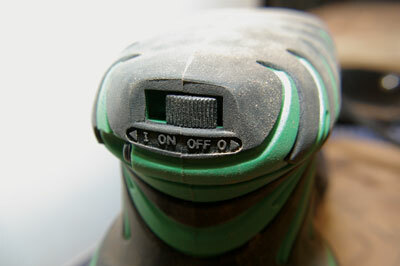 The sander performed well on both woods and appeared to cover its own tracks leaving virtually no marks behind it. 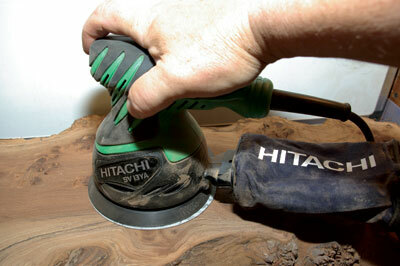 The sander is also suitable for working on metal surfaces and removing paint and rust before painting. The instructions as usual came in five languages and although this consisted of around four A5 pages, one of which was illustrated, they were more than adequate.